Mid-point between the Gulf of Mexico and the Pacific Ocean. 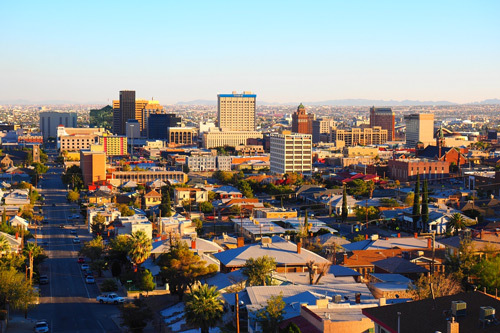 El Paso is distinguished by its continued ranking as the second safest city in the United States. Our cosmopolitan community benefits from 70% of El Paso and being bi-lingual; speaking in English and Spanish. Our Ft. Bliss, the second largest Military Base in the U.S. brings us people from all over the world to live, work, do business, get an education, and retire.